A Houston area home improvement company. House painting jobs are more demanding than they may seem which normally results in a homeowner undertaking a challenge that may cost a few weekends. By the time you’ve taped off the edges, covered wall fixtures, dropped cloths to cover the floor, gotten all the rollers and brushes organized, you’ll notice DIY House painting projects aren’t all that they’re cracked up to be. When you’re looking slapping a fresh coat of paint on the wall we recommend talking with our local Houston area team of professional painters about completing the project on your behalf. HVH Remodeling of Houston will come out to the site and give you an estimate, at no cost, so you can make your decision with all the facts on the table. HVH Remodeling is a commercial and residential painting contractor. We have one of the highest standards of quality and excellence in Houston Area. Our painters take pride in paying attention to detail, delivering high quality results, and being dependable. A Fresh Paint Job Adds Value! 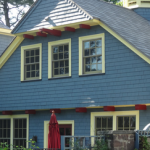 Painting the exterior of your house is a cost effective way of raising the value of your home. According to expert speculators, an exterior paint job can increase the current market value of your home up to 20% percent, plus resale recovery. A fresh coat of paint helps to improve your curb appeal and makes for a wonderful first impression in addition to removing the need for exterior painting for the next 5 to 10 years. Fresh Paint adds to the Protection of Your Wood! HVH Remodeling has been painting Houston for over 15 years and we look forward to meeting you, learning about your goals, and moving forward with the project. Our expert painters use premium materials and quality paints, and strive for perfection with all interior and exterior painting projects. Call us at 832-881-7112 to schedule your free estimate.